A President in Waiting by Jan Moran Neil, with Khuls Nkatshu directed by Amy Leigh Vermaak. 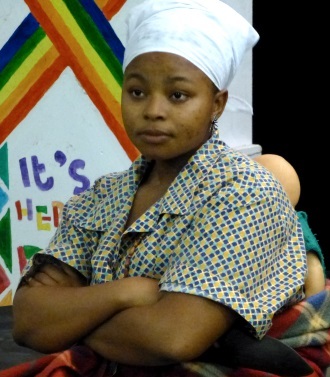 The play premiered at the Desmond Tutu HIV Foundation, Masiphumelele, Cape Town in November 2014. In February 2016 it was performed at the Gugu s'Thebe Theatre in the township of Langa as part of the Zabalaza mini-festival and then transferred to the Masambe Theatre, Baxter, Cape Town in March 2016 as part of the main Zabalaza festival. It has also appeared on Cape Town TV. The play is available for performances in schools and communities. Contact Jan or fruitnation.co.za. The Deadly Factor written and directed by Jan Moran Neil. 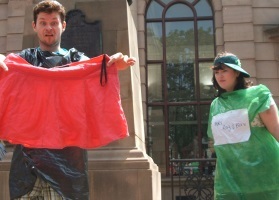 First production August 2010. 'A mightily entertaining onslaught from a young cast full of vim and vigour. To a man, and woman, the troupe performed superbly well. At the start, one character extols, "Celebrity is the new religion," and from then on (almost) all hell breaks loose. The direction was tight and controlled." Bucks Free Press. Good Things From Bad Rubbish written and directed by Jan Moran Neil. 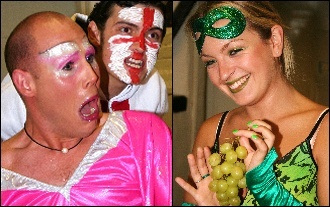 First production June 2009. Creative Ink For actors performed Jan's play commissioned by Bucks County Council for Recycling week June 09 - Street Theatre, Aylesbury. Brave Hearts & Baggage written and directed by Jan Moran Neil. 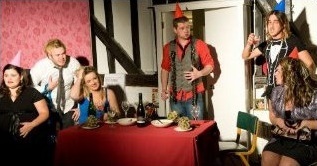 First production December 2008. Blackberry Promises written and directed by Jan Moran Neil. 'Remember the late 1950s? 'Lollipop' and 'Living Doll' on the juke box: boys in natty suits, their hair slicked back in Elvis quiffs; girls in puffball skirts - all of them with one thing on their minds.